Watch some of the world's greatest Rubik's Cube puzzle-solvers compete before a live audience! Highlights include the 3x3x3 Speed Solve and 3x3x3 Blindfold Solve. Onsite registration lasts from 10:00–11:00 a.m. If you can solve a cube, sign up—anyone may compete. 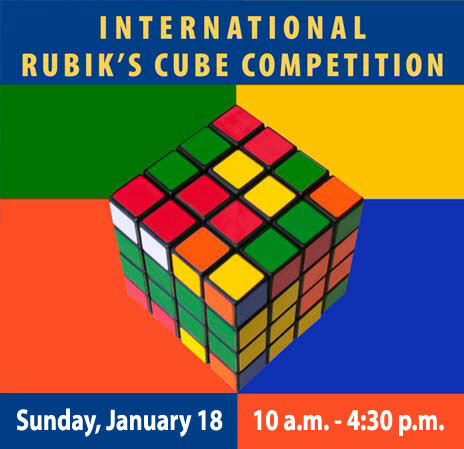 Presented in conjunction with the Rubik's Cube Clubs of Caltech, UC Berkeley, and Stanford.